So today first day home, the thrift stores were calling my name as always. Today I went to two thrift stores. The first didn't have anything other than a broken Sleeping Beauty Snowglobe for $6.99 (I did not buy it). 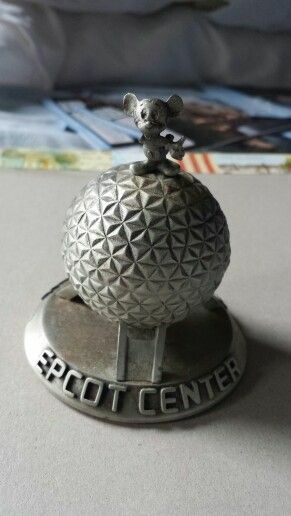 This pewter Spaceship Earth with Mickey on top. The Mickey Mouse is bending on top and I'm scared that it's going to break off.